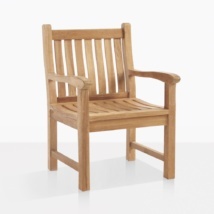 Becoming, simple and uncomplicated; The classic Garden Arm Chair returns! 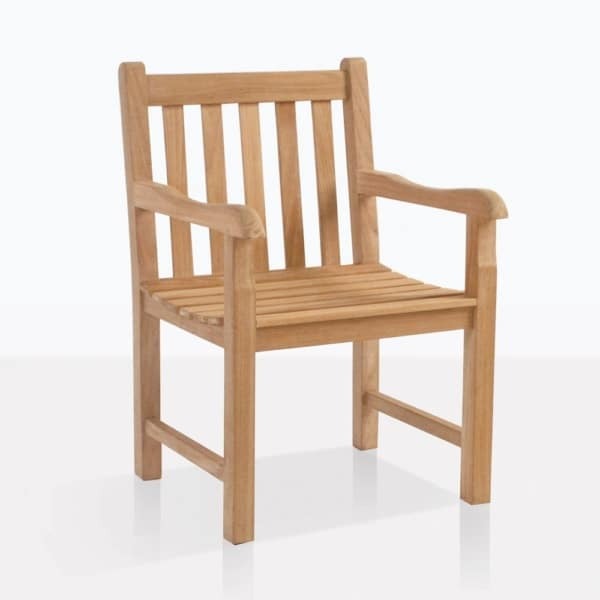 The Garden Collection is one of our most popular ranges at Teak Warehouse. Coveted for its straightforward, clean lines and versatility, the Garden range is a must for your lush garden, or concrete jungle! The Garden Arm Chair, at a convenient dining height, is perfect for outdoor dinners, or lavished with cushions for a spacious relaxing chair. Place two Garden Arm Chairs on the patio with a couple of colorful throw cushions for a comfortable space to relax on long weekends, or after work. W23" x D24" x H36"
After a modern setting with substantial-sized chairs? Create a heavy duty, fabulous look with several of these chunky teak arm chairs around one of our new Blok Black Raw Concrete Tables – you’ll be thrilled with the results. 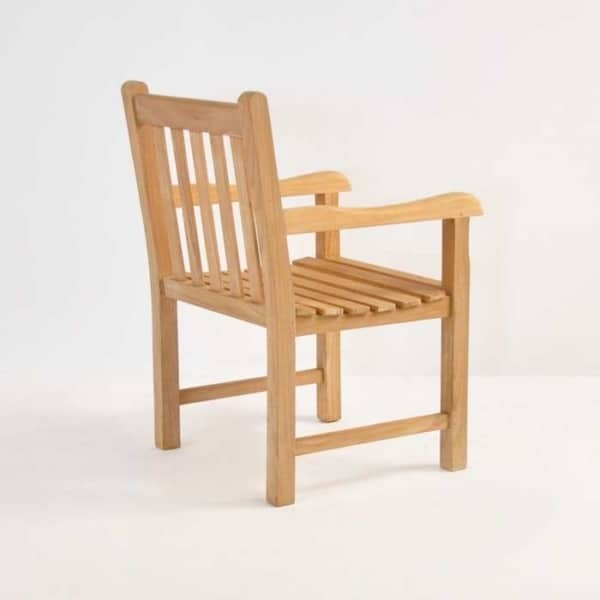 If you’re after something that follows a more traditional, simplistic look, then the Garden Arm Chairs surrounding one of our charming, versatile Capri Extension Tables will have you set for every outdoor lunch and dinner for years and years to come! These chunky teak arm chairs are versatile for use both inside and out! 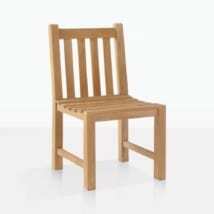 Also in the Garden collection are the complimentary Side Chair and matching Benches in 2 or 3 Seater options. Make a ‘Garden Setting’ with a Garden 3 Seater Bench flanked by a Garden Arm Chair on either side and a couple of our Square Teak Picnic Tables and you have a simple, classic area to enjoy hours of relaxation! 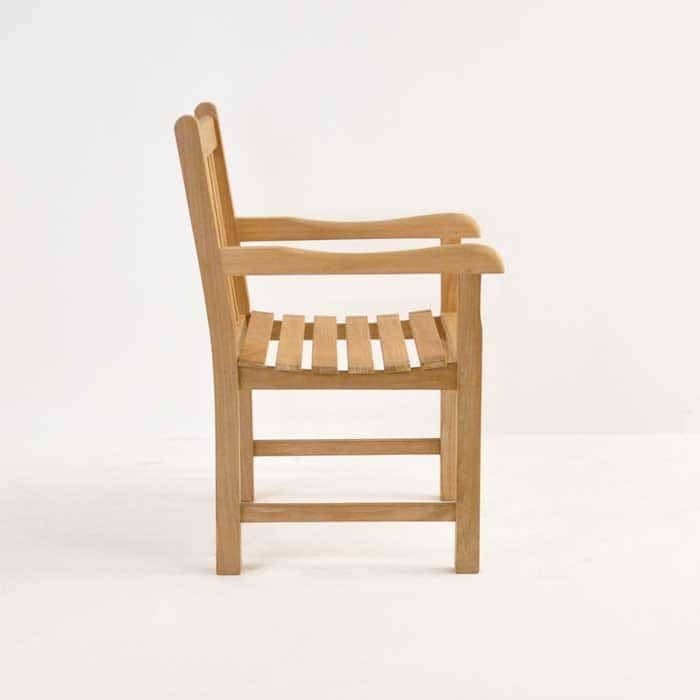 Made out of signature A-Grade Teak, meaning that the Garden Arm Chair is high in natural oil and rubber and that it will last a long time to come! 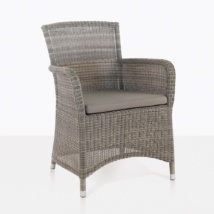 The Garden Arm Chair is in stock and available for purchase today! Feel free to call our 1-800 number! Our friendly sales team are on hand 7 days a week ready to help you with your furniture needs!